Did a Fallout character request song on BBC radio? During the Chris Evans Breakfast Show a segment called “Moira’s Golden Oldie” is aired. 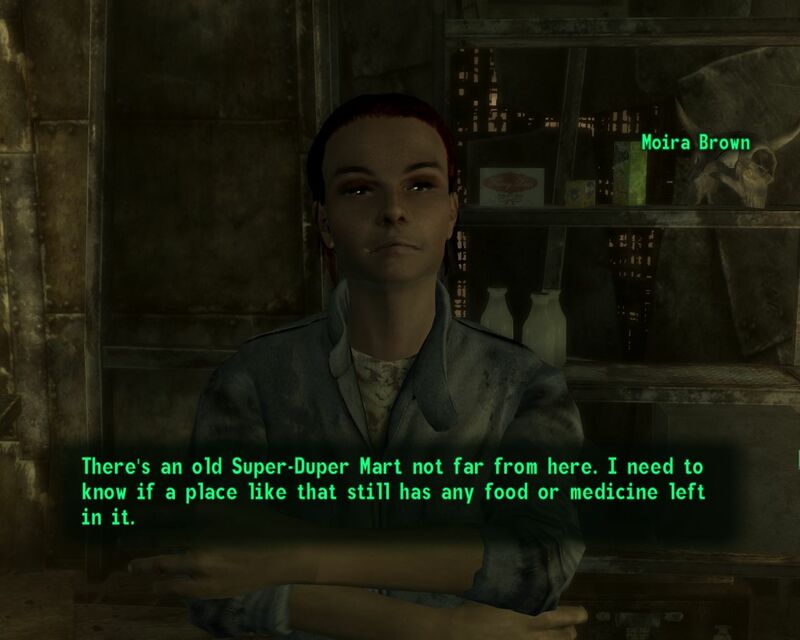 Listeners pick a track and explain why it “takes them back.” Reddit user Squibnibbles noted that today’s request came from a woman by the name of Moira Brown, which is also the name of a Fallout 3 character who lives in the town of Megaton. The song she requested? Wanderer, performed by Dion, the same song that happens to be in the recently released live action trailer for Fallout 4. The Super Duper Mart? The same one from the Capital Wasteland that Moira Brown sends you to for medicine? Pretending to “fall out” of chairs? Coincidence? Not likely! The only mystery left to solve is whether or not this was just a Fallout fan making the request or some very clever subliminal marketing strategy by Bethesda. We have reached out to Bethesda and will update this story if we get a response. Listen to the segment here (starts at 1:03:00). This is totally too convenient to be a coincidence. It’s pretty epic that someone even thought to do that in the first place. Can’t wait for the release!